Starbucks Corporation (NASDAQ:SBUX) CEO Kevin Johnson is apologizing over the racist arrest of two black men at one of its Philadelphia stores. Here’s what the Starbucks CEO has to say about the incident. According to Johnson, the company has already started a thorough investigation of the event. It will also be working with experts and community leaders to develop the best practices going forward. This will include training its associates to know when it is the right time to call the police for assistance. Prior to the apology from Johnson on Saturday, the company had released an initial apology through its Twitter Inc (NYSE:TWTR) account. This apology specificly mentions the two people that were arrested. It also apologizes to the company’s other customers as well. Jim Kenney, the Mayor of Philadelphia, also acknowledged the the arrests. He says that the Philadelphia Commission on Human Relations will be in contact with Starbucks about its practices and policies. The Mayor also notes there will be an investigation into police policies for these types of incidents. 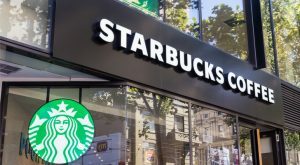 Article printed from InvestorPlace Media, https://investorplace.com/2018/04/starbucks-apologizes-for-racists-arrests/.